Lilly Broadcasting, is a family-owned company operating multiple television stations and digital platforms. Formed in 1999 by brothers Brian and Kevin Lilly, the company is headquartered in Erie, Pennsylvania. Lilly Broadcasting’s goal is to inspire, innovate, entertain and inform through excellent programming and community service. Brian and Kevin Lilly are the sons of veteran broadcaster George Lilly. 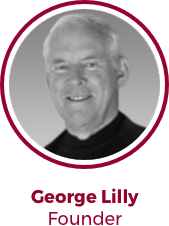 Mr. Lilly has owned television stations since 1983 through SJL Broadcasting and Montecito Broadcast Group. 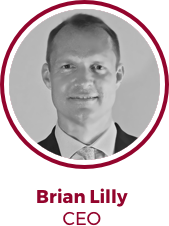 Brian Lilly serves as the company Chief Executive Officer. He was inducted into the Pennsylvania Broadcasters Association Hall of Fame in 2018. He is a member of the WideOrbit Board of Directors. 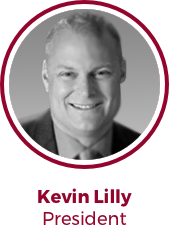 Kevin Lilly has served President of Lilly Broadcasting since 1999. A former banker, Kevin earned a Master’s Degree in business and broadcast administration. 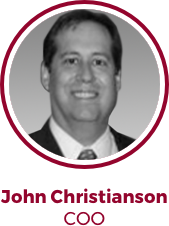 John Christianson is the Chief Operating Officer of Lilly Broadcasting and General Manager of One Caribbean Television. Christianson served as General Manager for WTVG, an ABC affiliate, from 2011 -2014. During his time in Toledo Christianson managed the WTVG, Live Well Network, and the local weather channel, as well as the Web and Digital Products. Christianson has been news director of WSEE. General Manager for WSEE, WICU and WBEP. He has also been involved in creating and gaining distribution for One Caribbean Television a 24/7 lifestyles, entertainment network, throughout the Caribbean and North America. The company operates WICU in Erie, Pennsylvania. WICU is an NBC affiliate. WICU-2 is a MeTV affiliate, WICU-3 is affiliated with ION. In partnership with SJL Broadcasting, Lilly Broadcasting oversees WSEE, a CBS affiliate in Erie. WSEE-2 is a CW affiliate and Erie News Now + operates on WSEE-3. In addition, users are served through the Erie News Now.com web site. Lilly Broadcasting operates KITV-4 in Honolulu, Hawaii through SJL Broadcasting. KITV is an ABC affiliate. KITV-2 is a MeTV affiliate. The station is also carried through KVHO (Hilo) and KMAU (Wailuku). KITV stands for “Island Television” and the station has served Hawaii viewers since 1954. KITV-2 is Hawaii’s MeTV affiliate. Lilly Broadcasting owns WSEEP which serves Puerto Rico and the U.S. Virgin Islands with CBS programming. WENY-VI is the ABC affiliate for the U.S. Virgin Islands.